Several of California's newspapers and media organizations banded together to perform a public service: exhaustive reporting on high-speed rail. The most interesting of the stories they produced, however, is not about California. It's about Spain. 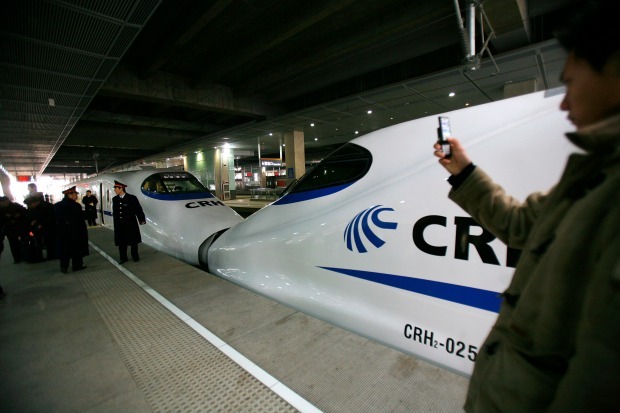 Spain's high-speed rail system is often cited as a model for California's. But its example also has plenty of cautions for California, according to the story, by Tim Sheehan of the Fresno Bee. First, even Spain's popular and successful system does not pay for itself. It requires public subsidy. In California, advocates have claimed just the opposite. We should not believe them. Second, political support is crucial. The media report notes that Spain built its system at a time of great political consensus, and helathy budgets. Given the costs of such systems -- the Spanish numbers run into the tens of billions, the same ballpark as the $100 billion estimate for the first phase of a California system -- deep public support may be even more important than sufficient money. Right now, California has neither. Third, and finally, the route matters. The media reports quotes Spanish officials as being puzzled by the California plan to start building in the Central Valley. The environmental policy director for the system is quoted as saying: "You need to have either Los Angeles or San Francisco. They should build it where it will have an impact so that people will support it."